Simply use a cotton bud and apply a layer of oil over the cuticle and the whole nail. Leave this on for 5 mins or as long as you want, then wash off for moisturized cuticles and shiny healthy nails. Rub together some oil in the palm of your hands, massage into the skin, then wipe away using a cloth until all the oil is removed. I did try this for a while, and whilst my skin looked great and the massage was very relaxing, I found repeatedly rinsing it off with a cloth too time consuming, however if you have the patience its a great natural alternative to cleansers. One of my favourite uses, you simply need to mix some sugar and olive oil in a pot, then rub into the skin and rinse off for super soft moisturized skin. It leaves a moisturizing film afterwards, but if you're not keen on that just use the scrub before showering so you can wash away the film. 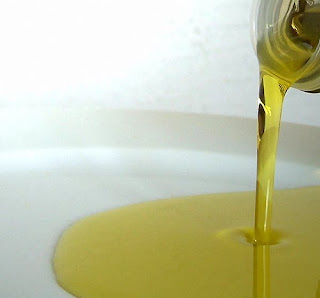 Before showering, massage some olive oil to the ends of your hair, then put into a shower cap and leave for as long as you wish to condition the hair. Afterwards shampoo as usual. I've yet to try this but I've heard a lot of good reviews so will definitely be giving it a go. Apply a small amount to any area of dry skin to moisturize. You can also add some to your bath for soft and moisturized skin. I'm sure that there are many more uses, but these are just the ones I've tried. 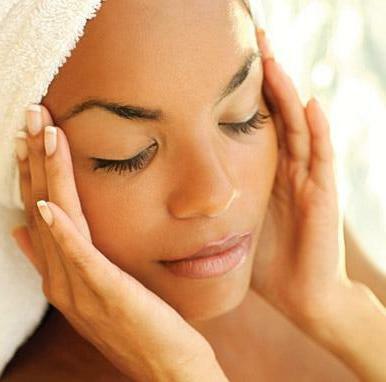 Are you a fan of homemade natural beauty treatments? What are your favourite beauty uses for olive oil? Oh I love Olive Oil! I mostly use it as a conditioning treatment. Really does work for me, I love it :). 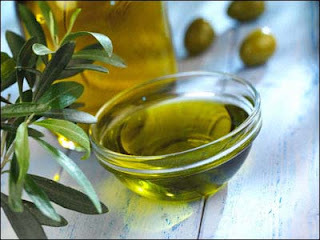 Olive oil is really amazing, thanks for mentioning all the new ways of using it!! I always hear about how great olive oil is, I'll have to give it a try.